PRIME TIME // This is the time to crack out every kind of primer going- mattifying, then smoothing, then eye lid, then lips. You can never be too primed for a long night out folks and a good base can add hours to your face! DIRTY LOCKS // If you want your big party hair to last as long as you do then try to wash it at least the day before you're going out. Failing that give freshly washed hair a good upside down shot of dry shampoo/volumising spray before styling to add some much needed texture. GLITTER ON // We all love a bit of glitter this time of year, but really it is much more effective confined to the eye area... To prevent glitter ball effect fall out, wet your brush before applying and give it a good press down onto the lid. HOT BLOT // Even the most matte foundation can get all the wrong kinds of dewy on the dance floor, so if you find yourself becoming a sweaty betty with no powder in sight nip to the loos and blot gently and evenly at your forehead with tissue. BISCUIT BANISH // If you've applied any sort of fake tan before heading out, make sure you also pat a gorgeous smelling body butter on top. Not only will it banish biscuit smell, it'll also make your tan last longer. Do you have any party hacks? oh man, which palette is that in the photo? it looks amazing! 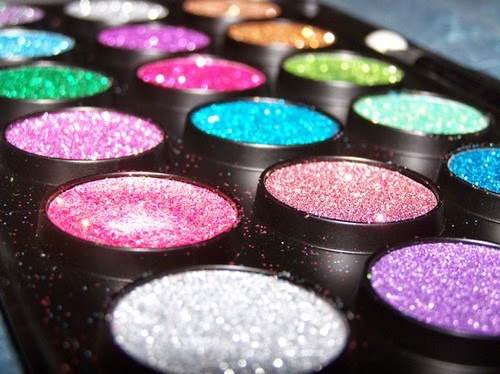 Good tips, I loveeeee glitter over the party season!